Ed Reed has pursued a most unconventional path to his present-day career as a highly regarded jazz singer. 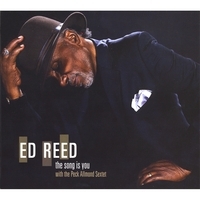 It was only four years ago that he released his recording debut, Ed Reed Sings Love Stories, when he was 78. The following year came The Song Is You, along with expanded touring opportunities, a guest spot on Marian McPartland's Piano Jazz, and a Wall Street Journal profile by Nat Hentoff. Reed also placed in the Male Vocals, Rising Star" category of the DownBeat Critics Poll in 2008 and 2009. Ed Reed took his time with the planning and recording of his masterful new release, Born to Be Blue, which will be released on June 21 by his Blue Shorts label. The entire project is an outgrowth of Reed's hugely successful five-night run at Marians Jazzroom in Bern, Switzerland in September 2009. Although he had performed with pianist Randy Porter, bassist Robb Fisher, and drummer Akira Tana previously, the Swiss engagement was the first on which they backed Reed as a unit. They jelled so well that they decided to make an album, adding tenor saxophonist Anton Schwartz for the Bay Area sessions produced by Reed and Bud Spangler last fall. The title song, by Mel Torme, sets the stage thematically for Reed's repertoire choices, many of them focusing on the sadder side of life. I believe that everybody is born to be blue," says Reed. So many of us hold onto our sadness, but we need to shout about it, sing about it, so that we can let go of it." 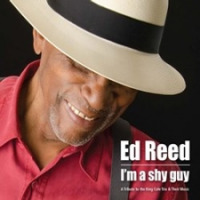 Reed also includes Old Country" and Never Kiss and Run," associated with Bill Henderson, one of his favorite singers; Monk's Dream," with Jon Hendricks's lyrics; End of a Love Affair" and How Am I to Know?," recorded by Frank Sinatra, another favorite; Abbey Lincoln's Throw It Away"; and Blossom Dearie's Inside a Silent Tear." I feel like that's my story," he says of the song. I wanted to tell somebody something that was so painful to me, but I couldn't. I didn't want them to think I was stupid or weak or not a man, so I kept it inside and couldn't do anything with it but shoot dope." Born in Cleveland and raised in Los Angeles, Reed fell in love with jazz on the radio and, at age 11, learned how to sing to chord changes from Charles Mingus, then-teenage brother of Ed's neighbor Vivian. He began using heroin while in the army and, after, as Reed puts it, he was asked to leave, returned to Los Angeles, and tried to launch a singing career that was quickly undermined by his addiction. He was in and out of prison during much of the 1950s and '60s, yet managed to continue singing. During his last of his three stretches at San Quentin, he performed with the Warden's Band, a 17-piece jazz orchestra that also included saxophonist Art Pepper. He got into recovery from alcohol and other drugs in 1986, and started singing again in public in the early '90s. In 2005 he attended JazzCamp West, where instructor Peck Allmond heard student Reed at a fireside jam session. The singer made such a strong impression on Allmond that the multi-instrumentalist, along with drummer Spangler, ended up producing Ed Reed Sings Love Stories in 2007. In his JazzTimes review of Reed's 2008 album The Song Is You, Christopher Loudon singled out Reed's way with a romantic lyric, as captivating as [Nat 'King'] Cole but more suggestive of the great (if underappreciated) Bill Henderson, shot through with rich veins of Jimmy Scott's ethereal tenderness and finished off with the effortless savoir faire of Bobby Short." 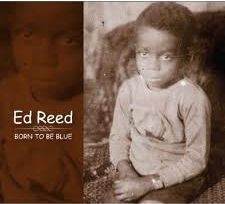 The little boy on the cover of Born to Be Blue is five-year-old Edward Reed, at the family home in Cleveland. He vividly recalls the moment when his uncle, Monroe Brown, took the photo: I was thinking how cruel it was: they made me stop what I was doing, take a bath, put on my watch and the top with the sailboat, go sit on the couch and don't move, and stop talking. I was not pleasedhow unfair, and stupid, they were being." Early disappointments like this were followed by much more grievous ones, but coming to terms with the pain and sadness in life has been a key to Reed's 25 years of recovery and one that he imparts to others, both in his lectures as a substance abuse educator and now in the songs on Born to Be Blue. Until you have the blues and allow yourself to acknowledge them, you're stuck," he says. You're stuck because you keep choosing to be stuck." Ed Reed will be honored as a Bay Area Jazz Hero at the Jazzschool's satellite party for the Jazz Journalists Association Awards on 6/11. His CD release shows will take place 7/25 at Yoshi's Oakland; 7/26 Club Fox, Redwood City; and 11/18 Jazzschool, Berkeley. Other local performances include 6/4 Healdsburg Jazz Festival; 6/11 Birdland Jazzista, Berkeley; 6/12 Vallejo Jazz Society; and 7/30 Benicia Jazz Festival. Ed will lead a workshop on The Power of a Lyric" at the Jazzschool 8/21.